Bearings are an integral part of the machine. Be it a small equipment or a huge machinery, the presence of bearing is essential to take the load systematically. With the technological advancement, new and latest varieties of bearings are invented for smoother functioning of the machinery. However, having the knowledge of all the kinds of bearing available in the market may not be possible for you. Hence, you need to take the expert opinion while choosing the same. Be it needle roller bearing or any other bearing, a clear understanding of the same is imperative before installing the same on your machine. For better guidance on what type of bearing one should use, here is some information on the bearing that may interest you. As you know, bearings are used for smooth and low-friction movement between two or more surfaces. Its core job is to constrain the relative motion of the machinery. To understand the function of the bearing, you must know what is the load. Basically, the load is the force applied to the bearing that has to be resisted and constrained by it for the smooth functioning of the machinery. There are ordinarily three ways in which load is handled. Radial Load is the load applied perpendicular to the shaft axis. Axial Load is applied parallel to the shaft axis. The third way of applying the load is by combining both the radial and axial load. Ball Bearing: One of the most common bearings, the ball bearings are used in almost all the type of machines. The load here is transmitted from the outer race to the ball and from the ball to the inner race. Be it a skateboard or a washing machine, the ball bearings being capable of taking both the radial and axial load is a highly in demand for the machines. Roller Bearing: The roller bearing can take heavy radial loads, hence they are mostly used for the heavy machinery. The contact between the outer and inner race is not a single point like that of a ball but is rather a line being the cylinder or a needle. Unlike the ball bearing, the load is not centered here at one place but is evenly placed on the roller cylinders that allows it to take a heavy load. Although these bearings cannot handle the axial load, they are highly useful for the large equipment. There are few variations available in this type of bearings, one of them is needle roller bearing which is the most appropriate one where you need to handle heavy radial loads within a very small surface. Taper Roller Bearing: This type of bearing is majorly used to handle large radial and thrust load. The load can be both constant or the shock load. Ordinarily, they are used in car wheels and motor vehicle hubs where they are mounted in pairs to allow the device to have a higher speed. Magnetic Bearing: It holds completely different mechanism than the above-mentioned bearings. These type of bearings are highly reliable and long-lasting. As it uses the non-contact technology, it provides the least friction loss of the attached parts of the bearing. Besides, it can help you with achieving the desired surface speed that is probably not possible for the other bearings to attain. Apart from the above, there are myriads of bearings that can be utilized for your machinery such as spherical bearing, giant bearing, roller thrust bearing etc. Simplifying the types of bearings, we can say that there are largely three types viz. the ball bearing, roller bearing and the specialized ones that are made for some specific machines. Before considering any of them, you need to figure out your requisites and barriers so that you can land up at a right decision. 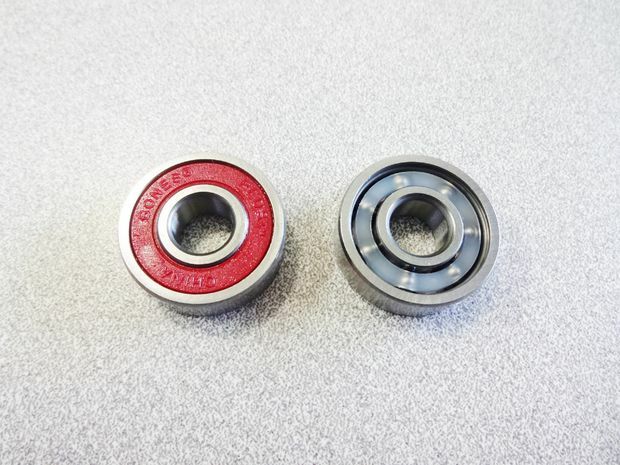 It is further recommended that you consult the leading brands like Jsbgreatbearings.com to get the best quality bearing for your machine, after all, it is indeed one of the essential part of your machine.